Personal debt is an issue that can plague anyone, regardless of background, status, or even age. While we may think of retirement years as a chance for relaxation, the truth is that many seniors are still feeling the squeeze after leaving the workforce. 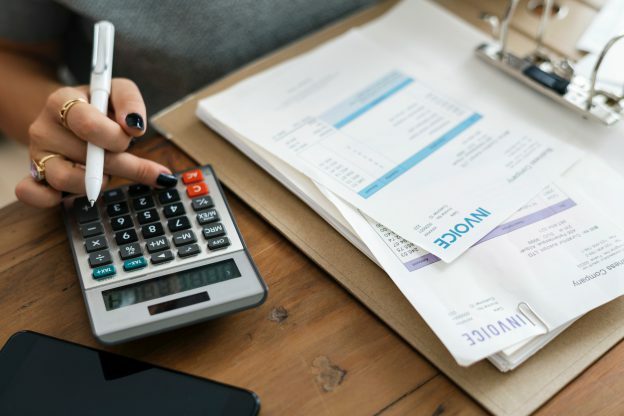 According to recent studies by the Employee Benefit Research Institute, the average debt for households led by someone over 75 is $36,757, with 49.8%of households showing a deficit in savings. Additionally, for those 55 years or older, the numbers are even worse, with 68% reporting as in debt. With these worrisome numbers in mind, it’s important that seniors and retirees have a plan in place for debt management. Here are some tips and guidelines for handling those payments while in your golden years. Your income will be fairly fixed during retirement. According to the Social Security Administration, 90% of seniors’ income comes from Social Security checks. However, those same figures also indicate that the average payout on a month-to-month basis is $1,400 – the same as earning $16,800 per year. Without the steady stream of paychecks twice a month, you’ll need to carefully track your income, savings, and expenses. You’ll also want to compare those numbers with your debt payments, so you can get a better picture of where your money is going and where you can make cuts. Another popular method for debt management is seeking debt consolidation. These individuals or companies will offer are financed loan with much longer repayment opportunities than your current debts. Often times seniors will seek out a reverse mortgage as a way to payoff what they owe, and then slowly pay back the loan at a lower interest rate.While this may sound appealing, it still means that you could be in debt for longer, which is still going to negatively impact your retirement years. We tend to accumulate a lot of stuff over the years. A great way for retirees to find some extra cash for debt management is to consider selling off the items they may not need. It could be something large, like a boat, a car, or a home, or it could be smaller things, like exercise equipment, furniture, or electronics. This isn’t to say you ought to sell all your material possessions and live like a monk but using your unnecessary stuff to make extra cash will be a great help in paying off outstanding debts. Your answer for debt relief could have been hiding under your nose this entire time. Did you know you can sell all or a portion of your life insurance policy, even term insurance for more than the cash surrender value?. Essentially, an unneeded or expensive policy can be sold to a third-party as an investment, leaving you with a nice chunk of change you can spend in any way you see fit. Contact Life Settlement Advisors if you’d like to learn more. Case Study: Dave and Judy bought life insurance when theywere younger to protect their children’s future. Now the kids are grown andtheir youngest is 47 years old. They no longer need the coverage. Dave’sinvestment advisor told him he could sell his unwanted life insurance policyfor an immediate cash payment. Dave and Judy sold their life insurance policyand used the proceeds to pay off medical bills and check off a few boxes ontheir bucket list.